Jorge Acevedo is at the intersection of strategy and execution. As the senior vice president of generation innovation and strategy at Constellation, which provides power, natural gas, renewable energy, and energy-management products and services across the continental United States—Acevedo is responsible for both the strategic direction of Constellation’s commercial business and its innovation strategy as well as strategic transactions, market development, and venture investing. Acevedo, however, has held multiple roles within the organization that have helped him get to where he is today. 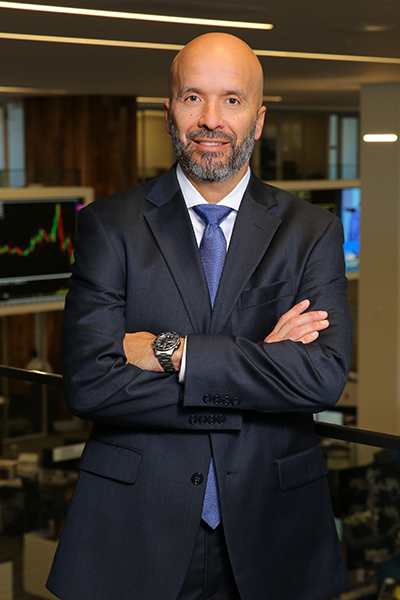 After graduating from the University of South Florida with a master’s in accounting, Acevedo began working in public accounting. Following more than six years with PwC, though, he decided it was time for a change. He wanted to take his skills in-house. Through his network, he landed at Exelon Corporation in accounting in 2002. In 2012, Exelon merged with Constellation—bringing together two separate cultures and businesses. Instead of resisting change, Acevedo saw an opportunity to get involved in the commercial side of the business. So, he accepted a role as the vice president of finance for the newly merged Constellation, and his new responsibilities gave him a good purview across the organization. “I think the opportunity to create our generation-to-customer-matching strategy was a huge opportunity for us as an organization,” he says of the merger. He adds that the merger brought two very distinct cultures together and what came of it was an enhanced, more strategic culture. Acevedo took on his current role in 2017. He says he loves his work, and his role has just as much to do with culture as business growth. Constellation Technology Ventures (CTV), the venture investing arm of the firm, also falls under Acevedo’s umbrella. He says it’s one of the defining factors that helps set Constellation apart from other similar firms. With all of these responsibilities, Acevedo leads a team of approximately sixty people. He describes that team as somewhat of a lightning rod for the organization. That’s because his team works in a sort of gray area of speculation. One of the biggest challenges he and his team face is articulating the value of what they do to the rest of the organization. Acevedo emphasized how the goals his team meets are not about short-term payback. Instead, they have a long return cycle. It can sometimes be challenging, he says, for those focused on near-term financial goals to see the value in these projects. One of Acevedo’s major responsibilities is to rigorously review ideas before they are presented to the rest of the executive team. Every possibility must be explored, he says. “It’s really about taking an idea and looking at it from multiple lenses and perspectives to make sure we’ve thought through every angle so that when we present these ideas to our organization, they get higher adoption and a higher success rate moving forward,” he says. Once his team understands their goals, Acevedo says that his main focus is to empower his team. As someone who has held multiple roles within Constellation, he believes that up-and-coming team members should get to know the business. In fact, he’s passionate in his belief that those who want to move up should get the most comprehensive view that they can of where they work. He also notes that so many people in business are subject-matter experts, but those who want to rise even further should make sure to get an overall view of their companies and understand the business and its goals. They should also understand their role in all of that. To that end, Acevedo is helping people in their development. He regularly meets with members of his team and has an open-door policy with other employees throughout Constellation, which proves to be a great recruiting tool.